Fabolous has been making headlines throughout his entire career, marking his territory through his musical longevity and his status as a Brooklyn icon. Today, he was in the news for an alleged domestic violence issue with Emily B, reportedly being arrested for striking the mother of his children. During an era where the "Time's Up," and "Me Too" movements have been a defining moment in Hollywood, now may be the worst possible time to get hit with such charges. While the story is still developing, it appears as though Loso may have issued a statement in response to his arrest, updating his Instagram story earlier today. 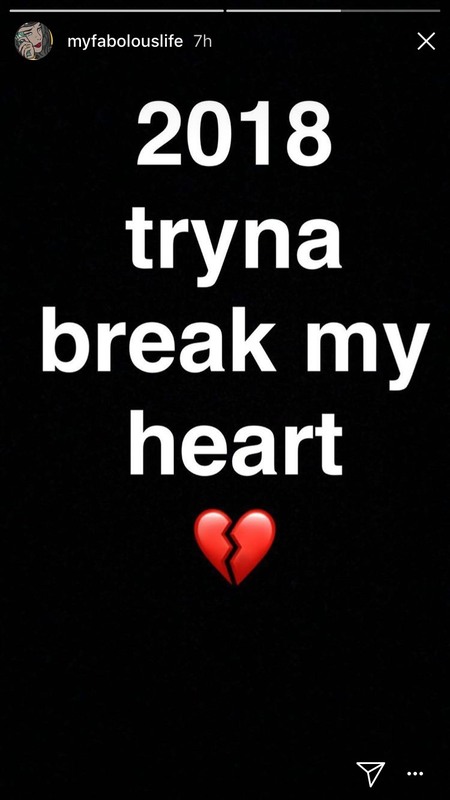 In a text-based post, Fabolous took to his Instagram story to write, "2018 tryna break my heart," and adding a heartbreak emoji. While the entry could be about literally anything, it went up around the time news started to break out of an alleged domestic dispute between himself and Emily B. Before the incident was made public, Loso also posted a photo to his page hinting that there may have been trouble in paradise. "You gon lose homies, girls, friendships, relationships, and even family... but as long as you don’t lose yourself, you winning," said Fabolous in a post made 24 hours ago. While there may be no relation between the two posts and whatever occurred with the mother of his children, this most recent issue may land Fab in hot water with both the law and with fans. Read more about his arrest here.